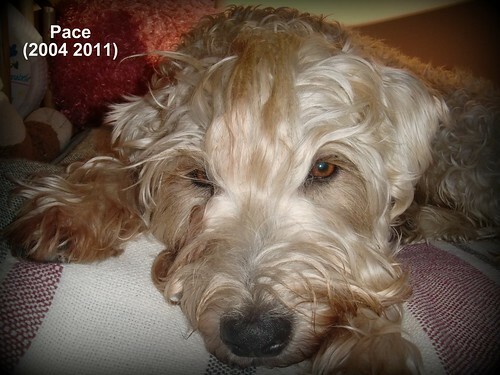 RIP: Pace (2004 – 2011), originally uploaded by tim_elhajj. Ohman. Losing a dog is so hard. I’m sorry. Pace looks so adorable in this picture. RIP. I am so terribly sorry for your loss. The pain does not fade quickly. Thanks Christine. Thank you, Leslie. That is a nice shot of him. I will miss him. Sorry about that, my friend. I know it’s difficult for the kids too. Parallel lives here, Tim. We lost our Maggie on Nov. 22. Our hearts to yours. Oh, Beth! I’m so sorry to hear about Maggie. We’ll keep you in our prayers. It’s so hard to lose a beloved pet.